Finally, when you set your toddler up with this Deluxe R2D2 costume for kids, you won't have to wait for them to get any older to start being handy around the house. You see, everyone's favorite Star Wars droid comes with all kind of bells and whistles and accessories, and while this cozy romper is just a costume, we're sure any little guy or gal is going to feel extra useful when they've got the power of R2 backing them up! As a romper style jumpsuit, this costume is ready to let your little one join in on the family's Star Wars action. A cozy fleece finish features printed R2D2 details, and it zips up the front for easy-in and easy-out. Just flip up the hood and teach your little one how to go "beep-boop-bop," and your family will be ready for the adventure! 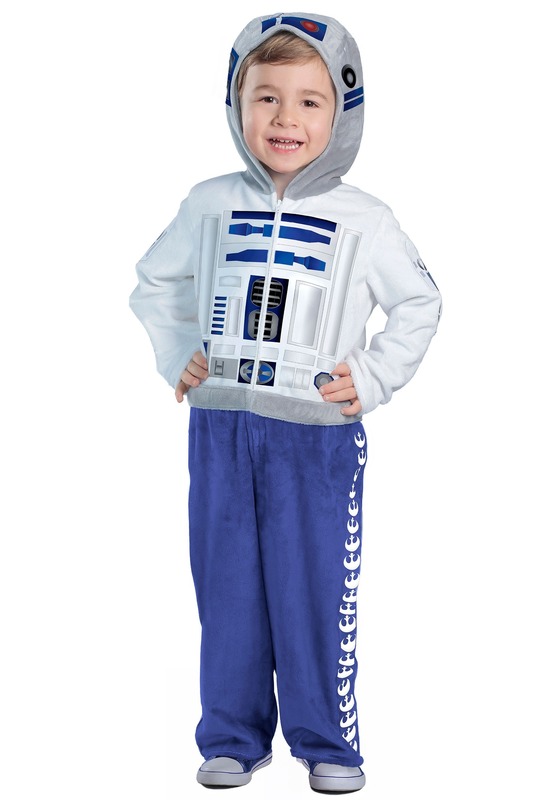 This comfy Toddler Deluxe R2D2 Costume is an officially licensed item from Disney and Star Wars. It might not come with all the gear that Artoo packs inside his shell, but any little one is sure to feel ready to bust out their jet packs and fly around the house. But only if it's necessary to save the day!